Saritha and Krishna (names changed), residents of South Chennai, eloped and got married in May this year. As they belong to different castes, their families opposed the relationship, due to which the couple cut ties with the families and are living on their own now. However, every month is a struggle, as the family sustains itself on Krishna’s meagre income. Since a smart card would take care of their basic food expenses such as rice, dhal and sugar, the duo applied for it online. But, they could not complete the procedure, as the form requires deletion of their names from their family cards. “To delete my name from the family’s card, I need One-time Password (OTP) that is sent to my father’s mobile number. My family is frantically searching for us, so that they can separate us and get me married to someone from my caste. How can I contact them for an OTP?” asks an anxious Saritha. Krishna, who is working in a BPO, voices the same. The couple could save a few thousands by receiving their share of commodities from the Public Distribution System (PDS). But because the online procedure rejects applications without deletion certificates, they are in a spot. 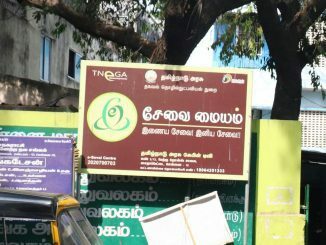 In a similar case, another native of Nagercoil, asked an online legal aid service about the ways to get a ration card without contacting his family. “The Taluk office personnel ask for the deletion certificate, which I cannot provide because I am not on talking terms with my family. 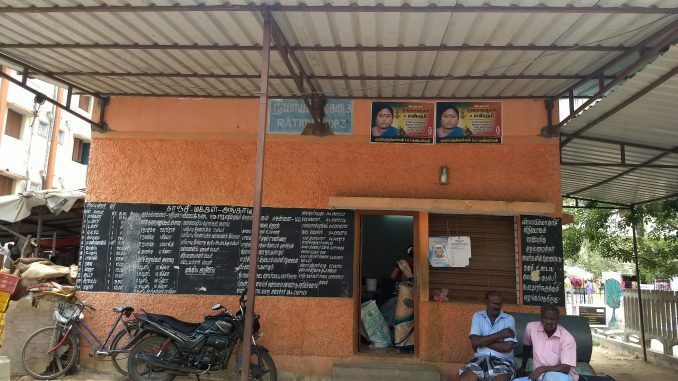 Despite having a marriage registration, inter-caste marriage certificate, a local address and ID proof, I have been struggling for the past four years to get a smart card,” wrote the Nagercoil native. Not just couples who married against family wishes, any member who is unable to secure his deletion from the family card for any reason, finds himself in a quandary. V Gopalakrishnan, an RTI activist who also owns an Internet centre in MGR Nagar said that the online procedure itself is a pain. He has himself heard from several in the city, mostly from low-income families, who face the same struggle as Krishna and Saritha. “Many of the customers could not get a deletion certificate because of the requirement of a One Time Password (OTP) to complete the procedure. This is sent on the phone number registered in the original family card. In one particular case, the elder brother would not share the OTP with his younger brother, because the latter was allegedly not sending money to the former. There is a huge injustice in the procedure,” Gopalakrishnan said. In October 2017, Gopalakrishnan filed an RTI at the Civil Supplies and Consumer Protection Department, seeking information about the procedure for couples to apply for a smart card in case they had severed ties with their respective families. He did not get a proper reply, following which he filed an appeal with the appellate authority and eventually, the Tamil Nadu State Information Commission (TNSIC). In the enquiry that happened on November 9th before the TNSIC, the Deputy Commissioner of Civil Supplies, Percy Samuel admitted that there was no alternative procedure that could bypass the upload of the deletion certificate online. “There is no government document that has a provision for couples in love marriages, estranged from families,” the Deputy Commissioner replied. However, the officer replied in the negative when asked if the same information was published anywhere on the website or in the local civil supplies office. It may be noted that the procedure to apply for a smart card has been totally computerised since 2017. 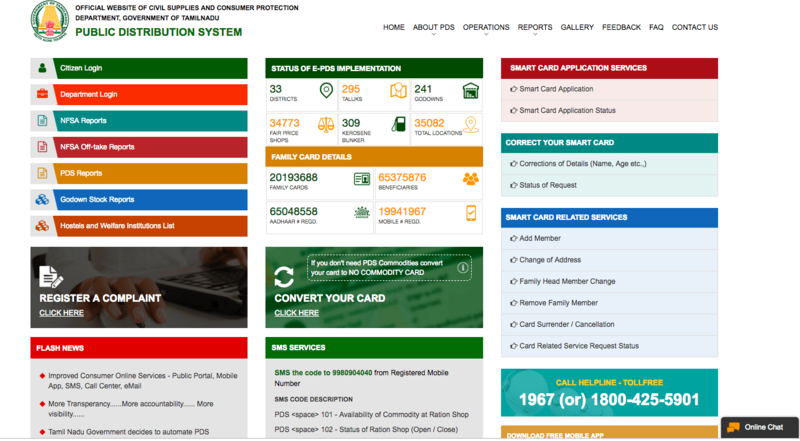 TNPDS website has no information about the procedure to apply a smart card without a deletion certificate. Citizens and activists say that the procedure should be made flexible, at least for special cases. “Other alternatives such as a marriage certificate should be allowed in place of deletion certificate. Conducting one-time camps periodically to help sort out such cases is the best way,” says Sudha Rani, who provides aid for couples in inter caste/religious marriages. There could be a few technical amendments, suggested Gopalakrishnan. “The biometric fingerprint in itself is enough identity. Why can’t the civil supplies department consider it, at least for such special cases? That way, couples belonging to the lower economic strata, who are estranged from their families, could also come within the social security net,” he questions. For a lot of couples, who married against the wishes of their families, approaching the court brings with it a threat of separation. Since petitions in the courts take forever to be settled, it is time that the Civil Supplies office itself takes steps to ensure every deserving citizen can access supplies that they are entitled to.